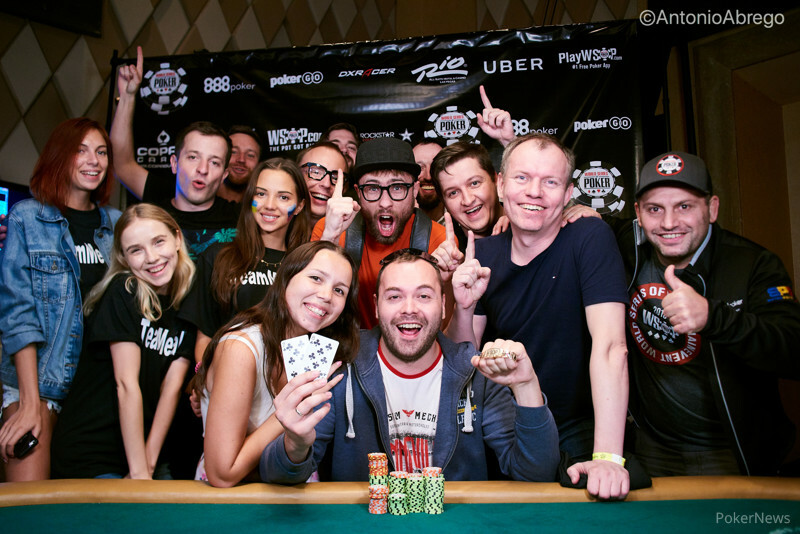 Hand #56: Evan Lipshultz raised to 200,000 from under the gun and Denis Timofeev shoved in the big blind. Leo Margets folded her big blind and Lipshultz snap-called. 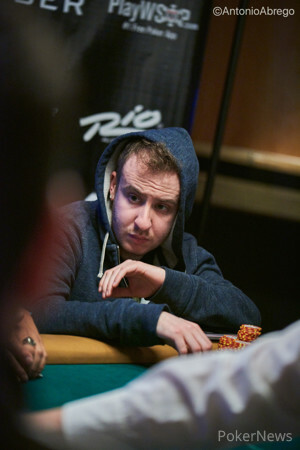 The board ran out for Lipshultz's pocket tens to hold to double up for the 2,695,000 he had in front of him. Hand #57: A walk for Lipshultz. Hand #58: Margets raised to 250,000 from the button and Ben Yu called. The flop came , and Yu check-called the 400,000 bet of Margets. They then both checked through the on the turn and the on the river. Margets tabled for the flopped pair of nines but was beaten by Yu who held for the flopped two pair.